We now live in a world where most of our oceans are polluted with man made plastics, a constellation of debris as well as high levels of toxic radiation. An alarming number of wildlife in the oceans contains high levels of mercury and other neurotoxins that are extremely harmful to our overall health, and especially to our brain health. 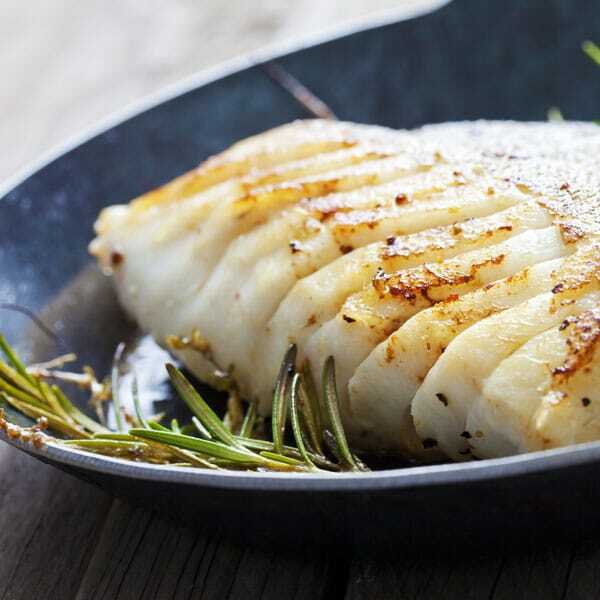 Among the fish that are still safe to eat, pacific cod, aside from wild caught Alaskan Salmon, is arguably one of the healthier options for you to choose from. I suggest to most of my clients, and to anyone who will listen. that they should be taking a form of a cod liver oil supplement in their daily routine. Cod is extremely high in vitamin B12, and by consuming only a 4 oz. piece of cod; you will consume 109% of your daily requirements of B12. Cod is also quite high in iodine, selenium, phosphorus, anti-inflammatory omega-3’s, as well as other vitamins and minerals. Cod liver oil supplements, as well as eating cod as a weekly staple in your diet can help with depression, cognitive decline, arthritis, osteoporosis, and it has major cancer fighting properties. Without a doubt, cod is a superfood. But when you go to a restaurant and you peer at the seafood section on the menu, you will find that most of the cod dishes look rather unappetizing. Cod has a stigma of being a boring fish, but let me teach you how to dress up this superfood into one of the tastiest dishes you have ever had! 1.) Preheat oven to broil. 2.) Place tin foil on baking sheet and drizzle olive oil over the foil to the fish will not stick to the pan, and so it is also easier to clean up. 3.) Place piece of cod onto the pan and liberally salt and pepper to the fish. 4.) Drizzle olive oil over the fish, but try not to use too much oil. 5.) Place the 2 tbsp. of grass fed butter on the center of the fish so that it can melt through while it broils. 6.) Sprinkle chopped rosemary on top of the fish, the more basil you use, the better it will taste. 7.) Pour the 1/3 cup of pine nuts on top of the fish. 8.) Pour your maple syrup on the cod, and place in preheated oven, 3-4 inches from the flames (or the roof of the oven). 9.) Broil for 10-12 minutes, or until the fish is beings to look flakey. 10.) Remove from oven, and serve hot. America and most of the western world is suffering from a epidemic and overall health crisis. What if I told you that the exponential increase in diabetes, obesity, autoimmune disorders, ADHD, and even cancer was due to the overconsumption of gluten, dairy, sugar, and artificial sweeteners. Our society is conditioned to believe that living a "healthy" lifestyle and eating a "healthy" diet requires one to sacrifice taste and enjoyment when it comes to eating. That is exactly why do I what I do. I am on a mission to teach any and all will that you can live a healthy lifestyle and not just simply "stand" what you are eating, but rather enjoy it and celebrate the food that you are consuming and fueling your body with. What if I told you that dessert could not just be good for you, but GREAT for you? My vanilla, strawberry chia seed pudding is a dessert that is not just tasty, but it can be eaten for breakfast, lunch, or even dinner because it is high in vitamins and nutrients and has a punch of high quality fat to help you power through your day, or whine down your evening. Vita Mix (You can also use any blender, or an immersion blender. 3 table spoons vanilla extract. 1.) In a blender add coconut milk, 1 tbsp. of honey, 3 tbsp. of vanilla extract, frozen and fresh strawberries and blend until pureed. 2.) Take out of the contents of blender and put in a bowl and gently whisk in your 2 cups of chia seeds. 3.) Cover and place in fridge for 15 minutes. 4.) When you plate individual puddings, garnish with fresh raspberries, a small handful of dried Goji berries, golden mulberry berries and a tbsp. of shredded coconut. We all know that chia seeds are great for you. They are high in fiber, fat, protein and high quality carbohydrates. Chia seeds are great for your digestion, as well as your brain function. Coconut and coconut milk is also high in fat, and plethora of vitamins, including C, E, B3, B1, B5, B6 as well as a number of minerals. The list of minerals includes: selenium, iron, calcium, magnesium, and phosphorus, which are all complimentary to your overall health. 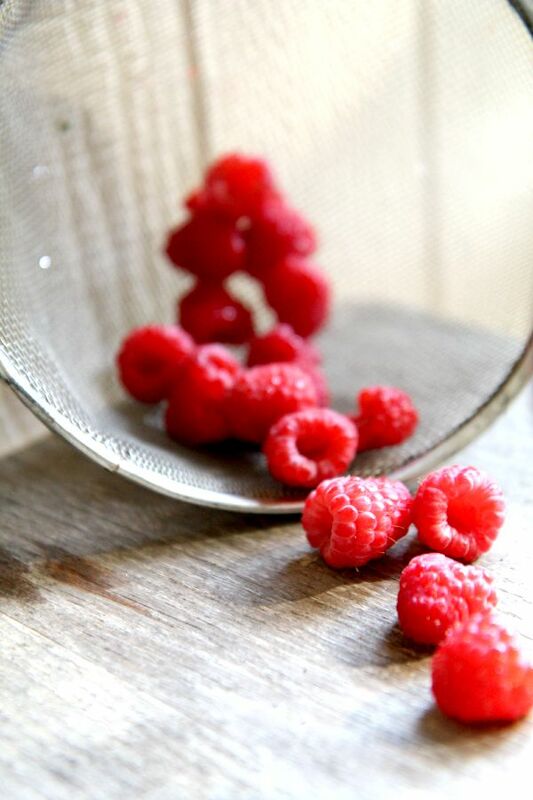 But when we add raspberries to this already powerful concoction of superfoods, this dessert, or quick snack on the go, becomes a dish that your brain will thank you for every time you take a bite. Reading the list of vitamins and nutrients may seem almost overwhelming, but when you come to remember that food is medicine, this is all just common sense. But as we often are reminded, "common sense ain't so common". Making this sweet snack is one of the simplest dishes you will ever make! See, taking your vitamins can be fun, right? And not scary!